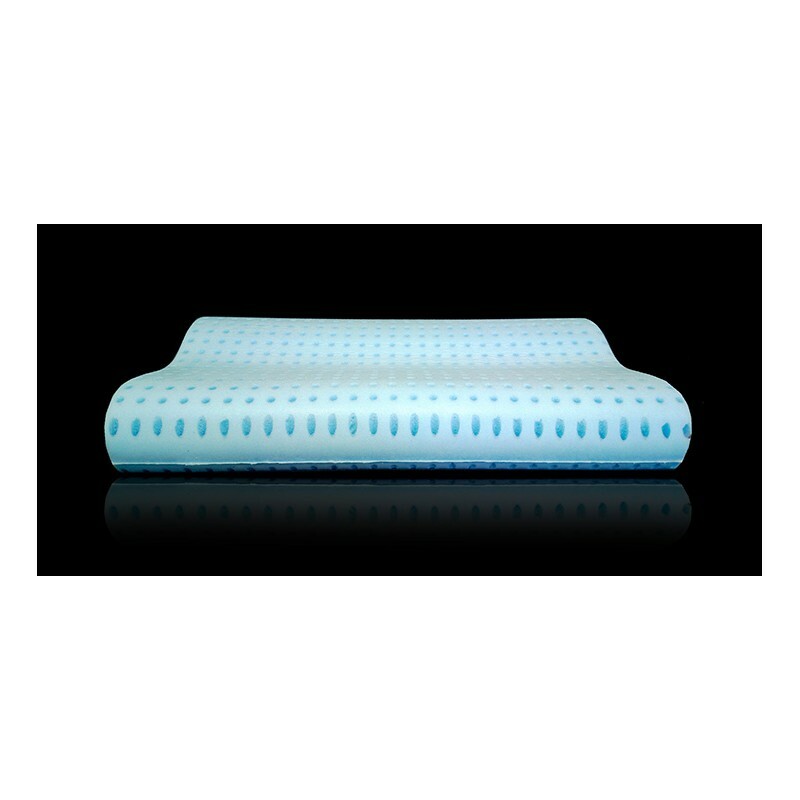 Professional ortho-cervical pillow in viscoelastic memory material; drilled HD Foam, internal insert in Blue Foam, covered with 3D Mesh fabric; external cover in Silver + AG lining. B.Pillow Professional is a pillow designed to assist physical therapists and osteopaths in the performance of their profession, allowing their patients to download skeletal muscle tensions during treatments. To not frustrate the improvements achieved through these therapies it is useful to take a correct posture even in hours of rest, during which the pillow can alleviate or resolve most of the neck pains. Material inside HD Foam (viscoelastic material obtained by method "Shaping") + Blue Foam (polyurethane foam).